The Government and construction leaders have agreed to recognise the Construction Skills Certification Scheme as the industry’s gold standard for skills cards. 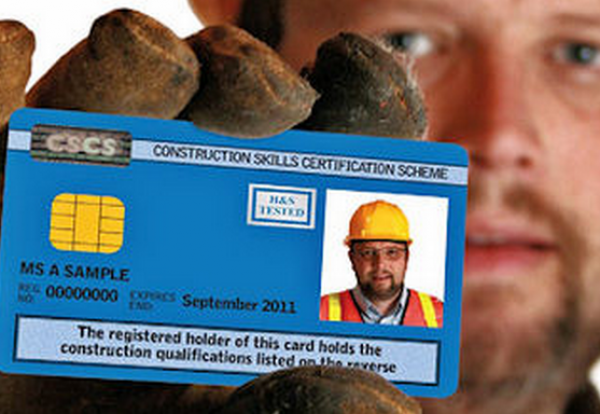 Under the radical plan agreed by the influential Construction Leadership Council skills cards will now only be recognised by contractors as valid if they are badged with a CSCS logo. The action is being taken after the Government-led construction 2025 industrial strategy called for the industry to switch to a single universally recognised skills card. It is hoped the long overdue move will bring to an end confusion caused by the myriad of cards being presented at sites as evidence of skills certification. As of this month contractors, trade associations, clients and Government have agreed to only recognise cards carrying a CSCS logo. These will include 10 specific trade association cards affiliated to CSCS like the scaffolders CISRS cards, and the separately endorsed plant operator CPCS cards. Card schemes carrying the CSCS logo will mean the holder has a NVQ Level 2 qualification or recognised equivalent in the relevant occupation, plus a separate health and safety element. The industry has also agreed to introduce full smart card technology by 2020, through a roll-out programme that is to be agreed by each card certification body.